This mystery sea is the Red Sea. Click to see Jordan tours. Ask about adding an Aqaba extension to any of our Jordan tours. 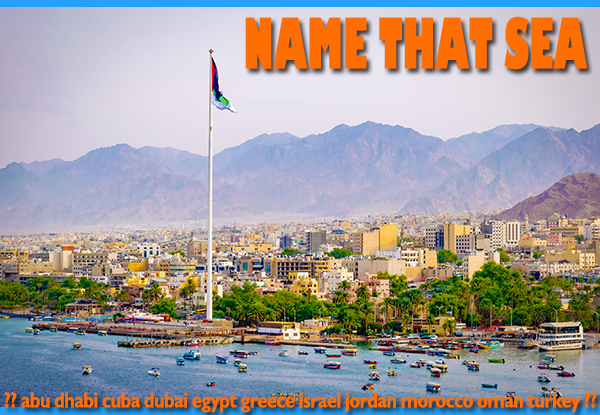 This entry was posted in Jordan, name that country quiz and tagged Aqaba, Egypt, Israel, Jordan, jordan tours, Petra, Red Sea, Wadi Rum by yalla2013. Bookmark the permalink.